While El Niño might be giving us a warmer winter, it’s never a bad idea to prepare against winter burn, or scorch. Three simple steps will make a big difference in preventing winter burn. A burlap screen on the Esplanade path protects young boxwoods in this highly-trafficked area. Fencing may keep nibbling down in winter. 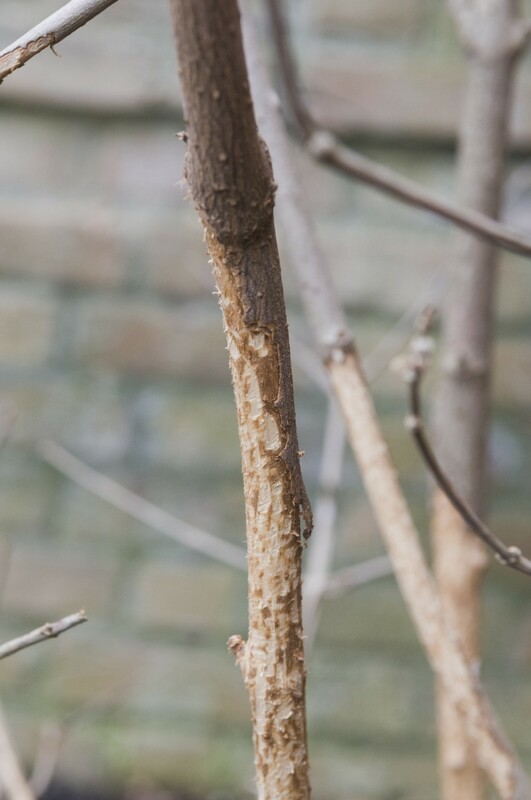 This viburnum will need pruning. The right plant for your design goals should help reduce maintenance. Choose the right plant for your garden’s growing conditions and design goals. A plant that is well-adapted to your site will perform better and have fewer problems. Proper siting makes a big difference for some plants. 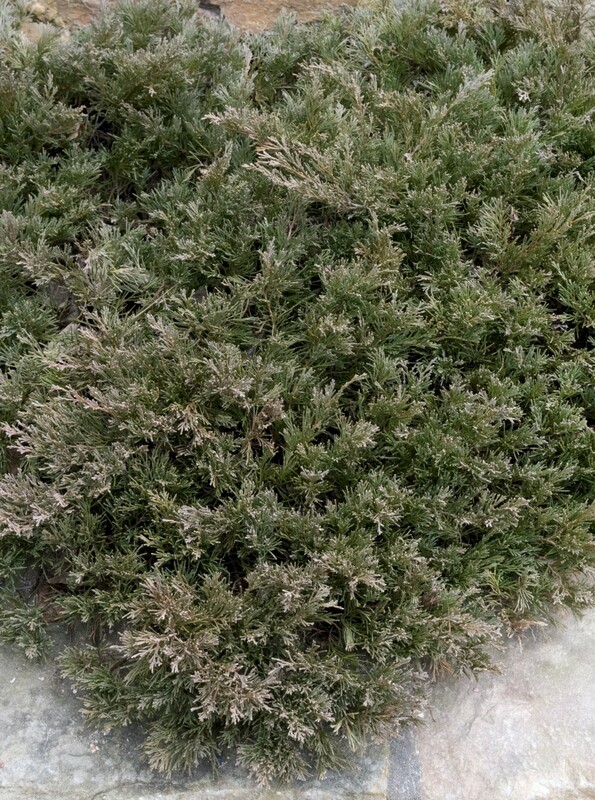 Plant salt tolerant plants along busy roads; broad-leaved evergreens perform best when sited so that they are protected from the winter sun and wind. 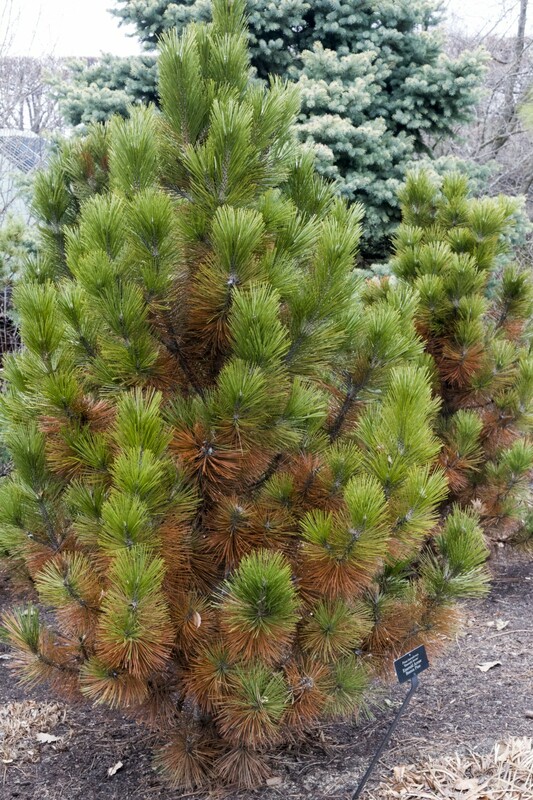 The later in the season an evergreen is planted, the more at risk it is for winter burn. Tree wrap may help prevent frost cracking in young, smooth-barked trees in some situations. Garden staff use tree wrap on a limited basis to protect certain plants from animal damage. Cut back herbaceous plants that are growing up around the base of trees and shrubs if you have had problems with vole damage in the past. The herbaceous plants provide cover for them in the winter while they are eating your plants. Fencing is more effective in keeping deer and rabbits away from plants. Using burlap screens in winter can also help shade plants that need extra protection from the effects of wind, sun, and salt spray. Amend your soil with compost when possible, and install your new plants properly to get them off to a good start. Many trees and shrubs are planted too deep. Be sure to break up the circling roots of plants that have been grown in containers before planting. 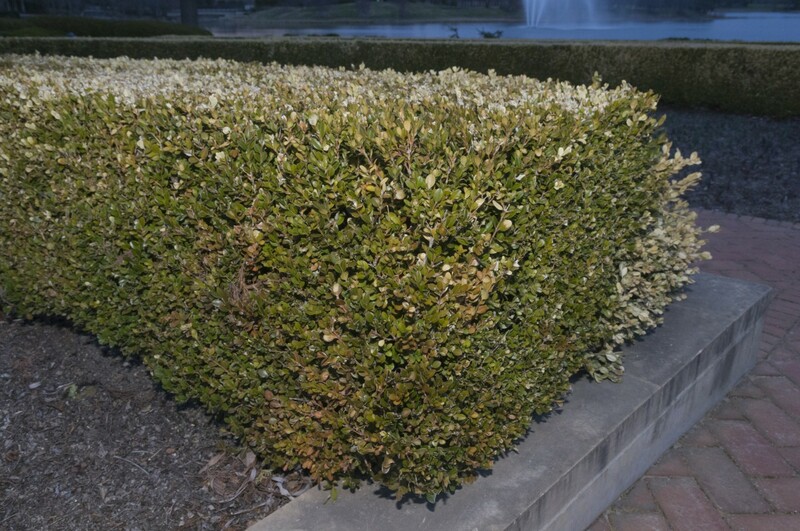 The alternate freezing and thawing temperatures in spring can push out newly installed plants that are smaller in size or were grown in containers if not mulched well. Install one to two inches of mulch around the new plantings, taking care not to bury the crowns of perennials, or mounding the soil around the base of trees and shrubs. This will help prevent frost heaving in spring, and helps mitigate big temperature swings in the soil. 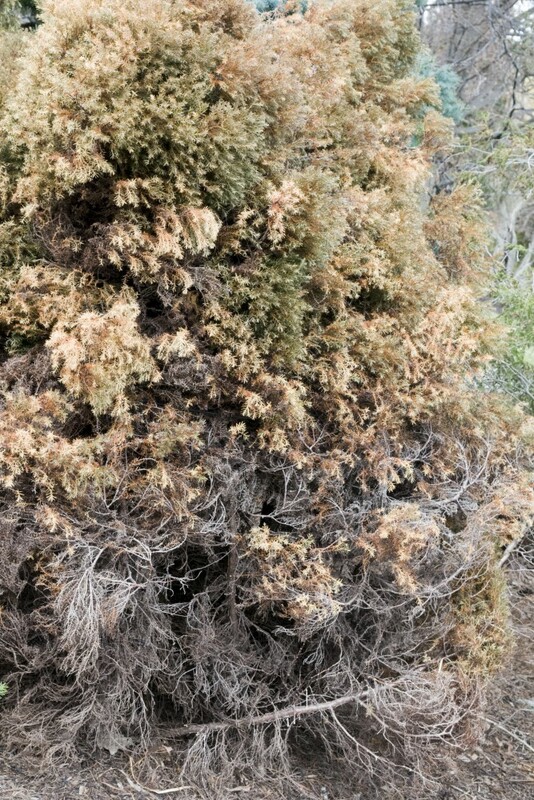 The brown-gray tips of Andorra juniper show where evaporation has damaged the foliage. Commonsense care will go a long way to keeping plants healthy. Provide supplemental water to newly installed evergreens in late fall when conditions are warm and dry so they do not go into winter under stress from being dry. Pay extra attention to plantings under 3 years of age. Do not pile snow that has salt in it on plants. If you are using a combination of shoveling and ice melt on your driveway when snow is fast and heavy, make sure to shovel away from plants. Products that are safer to use are those containing calcium chloride, or calcium magnesium acetate. (Different products work differently at different temperatures.) Make sure to use the right amount as specified on the packaging! 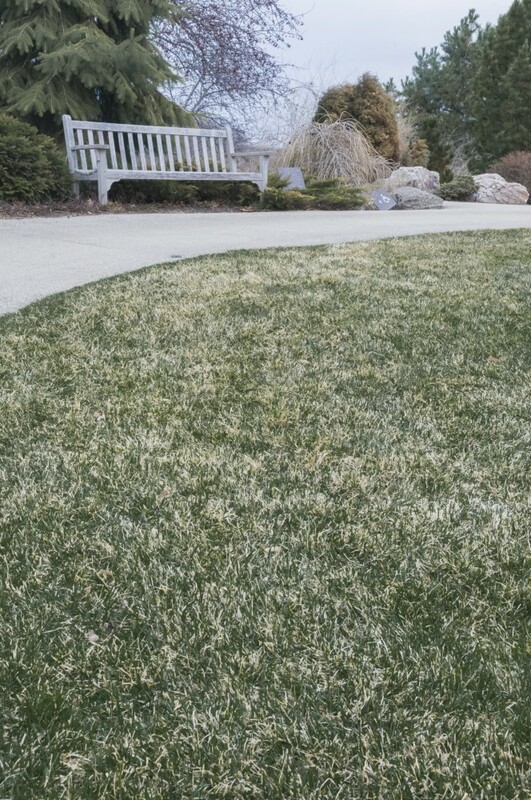 Mix ice melt with sand to reduce amount used, or use just sand near sensitive plantings.